Douglas BTD-1 Destroyer Bu. 04968 photographed at NACA, Aug. 20, 1945. Douglas BTD Destroyer was an American torpedo bomber developed for the United States Navy during World War II. 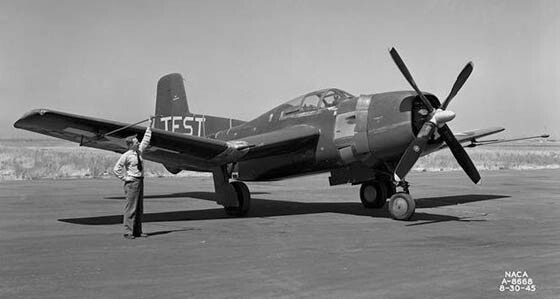 It was the first Navy aircraft to have tricycle landing gear.